Cordoba, Andalucia is one of the most beautiful cities in Spain, and one of the few places to be able to claim to have once been the most powerful city in the world. Around the first millennium, when London and Paris had populations around 20,000, Cordoba had between 350,000 and half a million people living there. 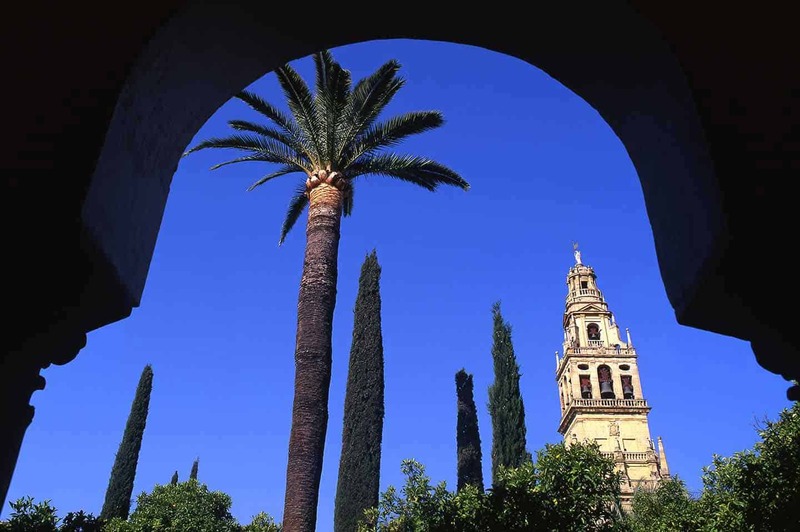 There are so many things to do in Cordoba, Spain, a city that was a Roman provincial capital before becoming capital of an Islamic Emirate and a Caliphate. Most of the things to see in Cordoba are centred around La Mezquita, one of the greatest mosques in the world, and the adjacent old town. Cordoba has such a wealth of history and treasures, but it’s also home to two of the best festivals in Spain, not to mention some great restaurants. So if you’re contemplating a visit and wondering what to do in Cordoba, take a look through our in-depth guide to this stunning city. 9 How Many Days in Cordoba? 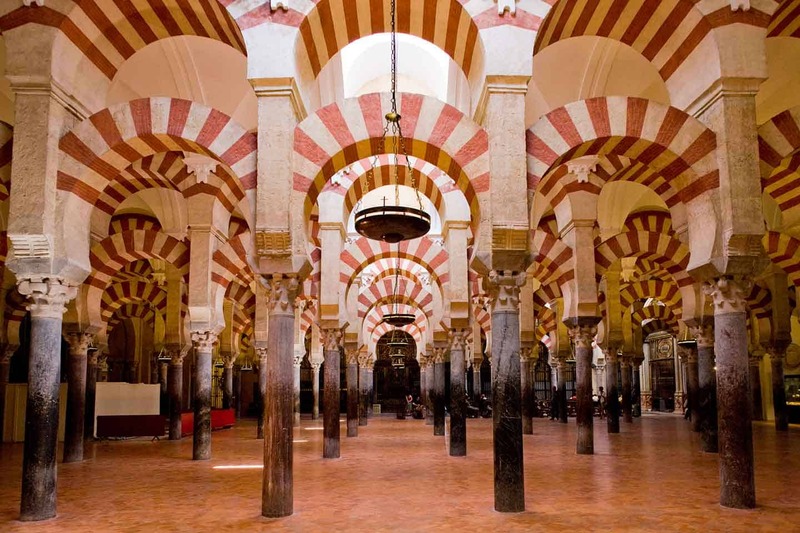 The Mezquita of Cordoba is one of the greatest sites in the Islamic world and, for that matter, Europe. It’s often referred to as the Cordoba Great Mosque, and was begun in the late 8th century AD. It was then expanded over the following centuries, until the Moors were expelled from the city during the Reconquista of 1236. It is the one absolute Cordoba must see. I’ve been incredibly privileged to have travelled around much of the Middle East, and the Mezquita is one of the two or three most amazing mosques I have visited. Much of its appeal is in the beautiful simplicity of its interior. Take a seat on one of the side walls, and look across the prayer hall at the endless rows of red-and-white-striped double arches, supported by a forest of ancient pillars. It is a magnificent sight, as is the much more ornate mihrab, or prayer niche, which faces in the direction of Mecca. As often happens when religious buildings fall out of use, they’re often put to use by devotees of another religion, and the conquering Christians turned the Cordoba Mosque into a Christian place of worship. Part of a cathedral was later built within the mosque. It’s well worth taking a walk around the outside of La Mezquita to appreciate its vast size, and also to appreciate some of the intricate details, especially the arched doorways. Worshippers would enter the Great Mosque through the Patio de los Naranjos – the Courtyard of Oranges – which is a wonderful place to pause for a while, sitting in the shaded arcades with views of the orange trees, palm trees and the Torre del Alminar, the belltower that is one of the most prominent symbols of Cordoba. Cordoba Mezquita tickets currently cost 10 euros for adults and 5 euros for disabled and children, and can currently only be bought at the ticket office in the Patio de los Naranjos. It’s also possible to join a tour of the Mezquita at night. I haven’t done this but would love to – it would be so atmospheric. 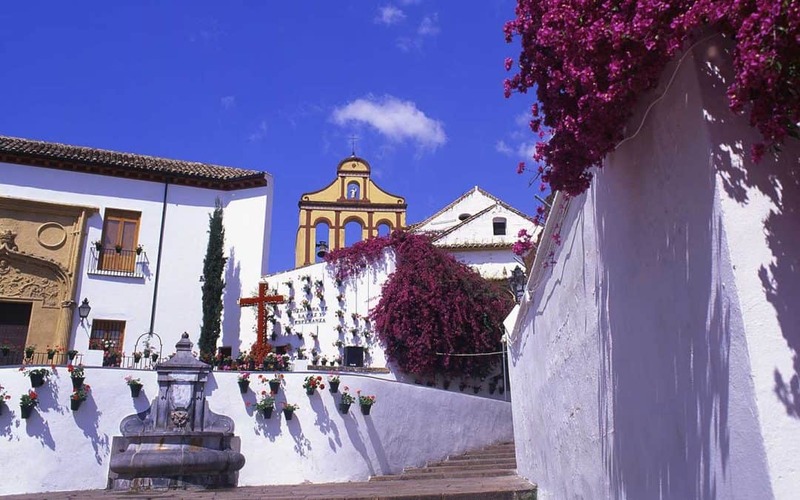 The one place everyone seeks out is the Calleja de las Flores, a flower-decked courtyard at the end of a narrow street. Turn around to face the way you’ve come, and you’ll see the Torre del Alminar framed by the houses either side, a view you’ll see on many postcard stands around the city. And no wonder – it is a gorgeous spot. Cordoba weather is usually scorching in summer, with temperatures often exceeding 40°C, and the locals have found ways to live in this furnace-like heat since Roman times. Cordoba patios are the partly shaded central courtyards of houses, the walls usually filled with plants to make it as cool as possible. Cordoba’s patios were beautified under the Moors, the courtyard also becoming the social focal point of the house during this time. The narrow streets and alleyways also provide shade and respite from the heat. You can sometimes catch sight of a Cordoba patio as you walk along a street, but as most are in private houses, the only time to see many is during the Cordoba patio festival (la Fiesta de los Patios) which takes place over 12 days, beginning in the second week of May. 2018 marks the centenary of this lovely festival, and we expect it’s going to be something very special. 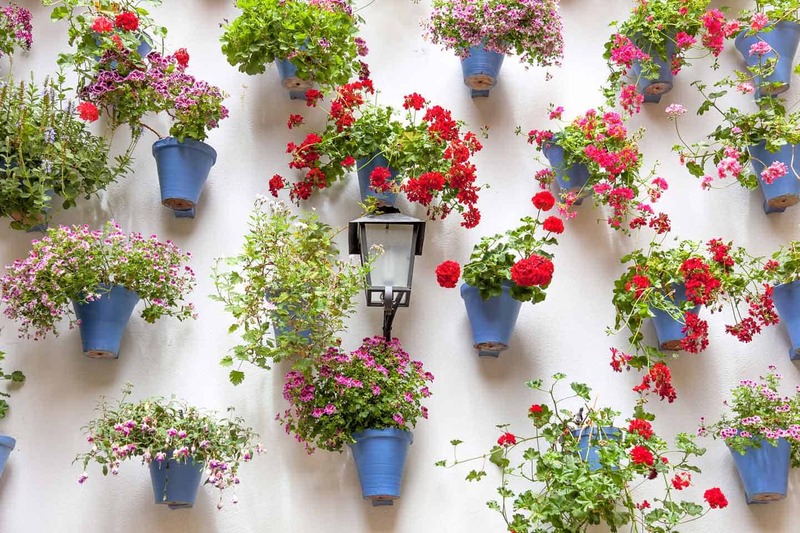 The best patios open their doors to the public for the duration of the Fiesta, and you get to see some amazing floral displays around the city. At this time of year, the weather isn’t too hot, with warm balmy evenings following days tipping the 30°C mark, and the patio festival makes it the best time to visit Cordoba. However, it’s also the most popular and expensive time of year, so you’d need to reserve your Cordoba accommodation well in advance for this period. If you’re visiting outside May, the one place you’re guaranteed to see Cordoban patios is the Palacio de Viana, 2 km to the north of the old town. It’s a Renaissance-era palace with twelve courtyards spread across its extensive and beautiful gardens. The Castle of the Christian Monarchs is one of the most popular Cordoba attractions. It was built on the site of an earlier Moorish fortress by Alfonso XI of Castile in 1328, and was later the residence of Ferdinand and Isabella, whose marriage brought together the Kingdoms of Castile and Aragon, who also instigated the Spanish Inquisition and the first Spanish voyages of discovery. The Alcazar is one of the main Cordoba highlights. The castle itself is impressive enough, especially the Hall of Mosaics, and its towers and walls offer amazing views of Cordoba, but the main reason to visit the Alcazar is its stunning gardens. They are vast and you could easily spend a couple of hours or more walking around them. I was there in spring when the orange and lemon trees were in bloom and the fountains and ponds were surrounded by flowers. 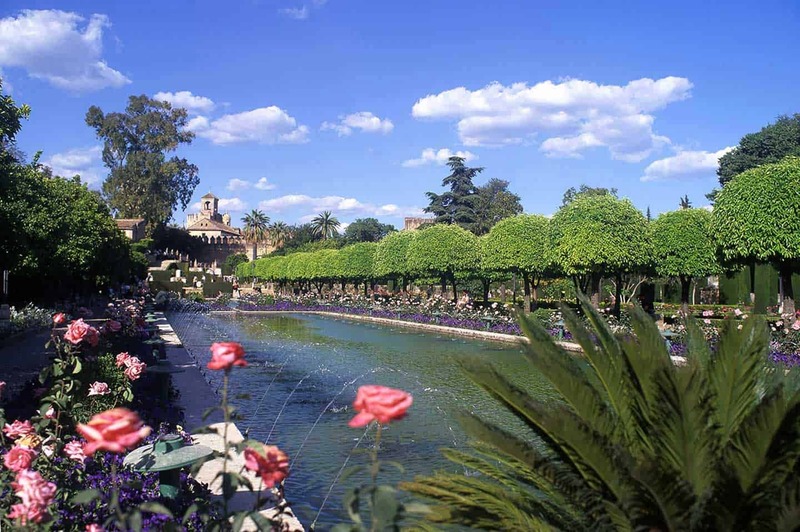 It’s among the most beautiful gardens in Spain, and if you love the Generalife in Granada you should try to see this too. Everywhere I went in Cordoba – my hotel, and several bars and restaurants – I saw the same painting, a girl leaning forward on a chair, stirring burning embers in a pot. I soon found out that this was La Chiquita Piconera by Cordoban artist Julio Romero de Torres. This small museum shows many of his works: La Chiquita Piconera turned out to be his final work, and I’d say his best. Some of the other paintings, such as Naranjas y limones (Oranges and lemons), a portrait of a woman clutching a handful of oranges to her naked breasts (well, who wouldn’t?) are rather less successful. Several paintings are in a similar unintentionally comedic vein. The museum is in the Plaza de Potro, a lovely Renaissance-era square a short walk from the old town – and it’s definitely worth the detour. The Puente Romano spans the Rio Guadalquivir just to the south of the Mezquita, and is one of the most impressive sights in the city. The view back to the city is wonderful, especially at dusk when it’s lit up. At the southern end of the bridge is the impressive Torre de la Calahorra, once a fortified city gate, now home to the Museum of al-Andalus Life, which has a fascinating exhibition on life in Muslim Andalucia. 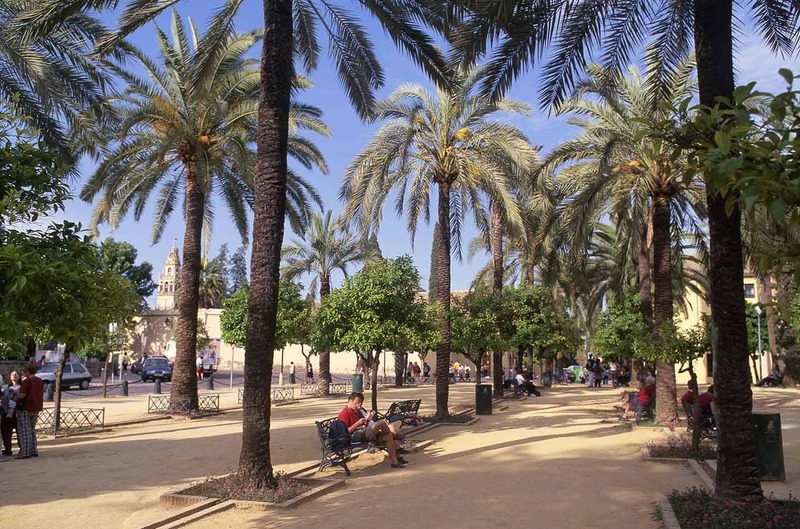 Modern Cordoba – the city centre, to the north of the historic area around the Mezquita – is very different in feel, but it has plenty of surprises. Plaza de la Corredera is a classic Spanish square with an intimate feel, full of bars and cafes, quite reminiscent of the Plaza Mayor in Madrid. 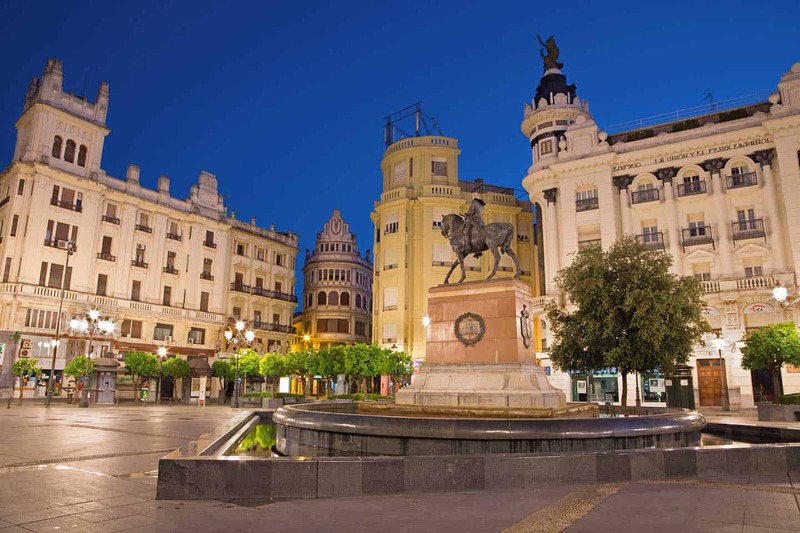 Nearby, Plaza de las Tendillas is a much more open square surrounded by grand buildings with fountains and a prominent statue of El Gran Capitan, Gonzalo de Cordoba, a general who fought in the conquest of Granada. In amongst all this you also find One of the most evocative sights in Cordoba is just to the north of these squares. Cristo de los Faroles is hidden away on a quiet square, a statue of Christ on the cross surrounded by vintage old street lamps. 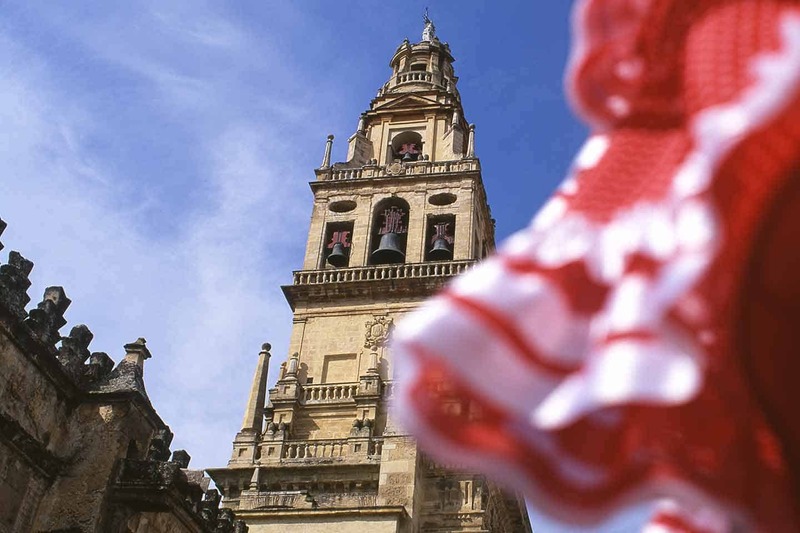 The end of May is also peak season in the city, as it plays host to the Feria de Cordoba, a great fair held in a showground near the football stadium 2km from the old town. It’s a huge traditional fair with lots of rides, fantastic food and flamenco performances, a wonderful taste of Spanish life. How Many Days in Cordoba? My Cordoba visit was for three nights, which gave me just over two full days in the city. I would have liked some more time in Cordoba, but in the time I had I got to see all of the main sights and have the best part of a day wandering around the many backstreets, clocking up many a mile. For many I’d say that two days in Cordoba is plenty, and in three days you can really get to savour it. Many only have time for one day in Cordoba, and it can be done, but you’d be rushing it. One option is to consider taking a Cordoba walking tour, which would whisk you around the main Cordoba sights fairly quickly. The AVE Cordoba to Madrid train takes 1 hour and 45 minutes, so a day trip from the capital is doable, with advance fares on the fast train coming to around 200 euros for two adults. 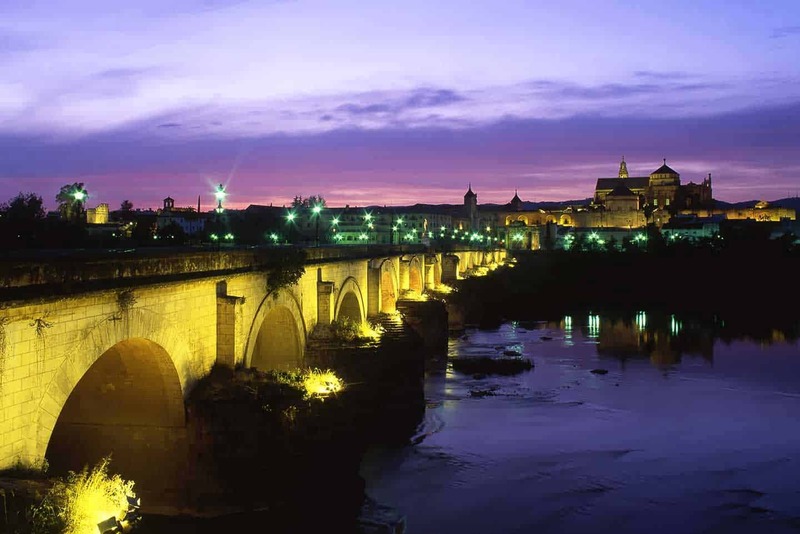 Otherwise, if you’re pushed for time a Seville to Cordoba day trip is a definite possibility. 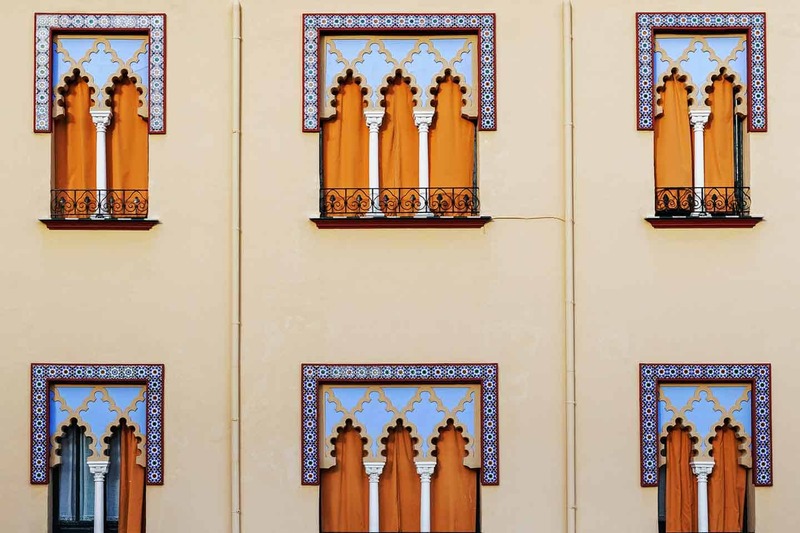 Many of the best hotels in Cordoba are close to the historic centre and Mezquita, but Cordoba is a relatively small, compact city, with most Cordoba hotels within walking distance of the main sights. Hotel Hospes Bailio de Cordoba is close to one of my favourite parts of Cordoba, the bougainvillea-clad whitewashed alleyways near Plaza de la Corredera. It’s in a historic 17th century palace in an urban oasis, surrounded You can see the remains of a Roman villa through the glass floor of the central courtyard, and the spa includes the only surviving Roman baths in Cordoba. A 5-star, our likely pick next time we’re in Cordoba. The boutique 4-star Hotel Las Casas de la Juderia has a fantastic location in the old Jewish quarter, between the Mezquita and Alcazar. It has some gorgeous courtyards and gardens with fountains and pools, with rooms starting at 278 euros for 2 nights next month. The penthouse room has one of the best views of Cordoba I’ve ever seen. The 3-star Hotel de las Faroles is one of the best budget options in the city. It’s very close to the Roman Temple and five minutes’ walk from the bars of Plaza de la Corredera. As you would expect, it’s built around a fine old Cordoban courtyard. They have some great bargains – we just checked their rates for a triple for three nights next month, and there’s a room available for just 76 euros a night. There are hundreds of places to eat in Cordoba, with a concentration in the Juderia and historic centre, but with plenty of other choices spread throughout the city. As you’d expect, there are many tapas bars, serving a whole range of Spanish and regional classics. 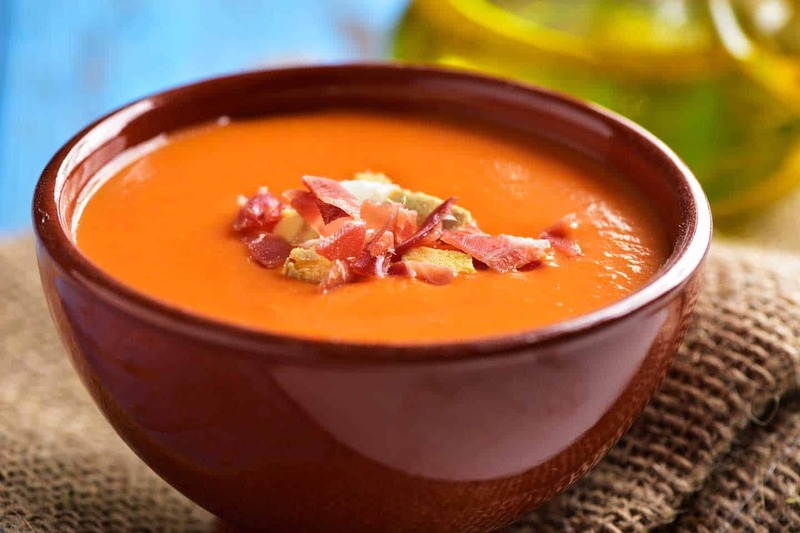 There are also some signature local dishes, including salmorejo cordobes (a cold tomato paste with bread and olive oil, sometimes topped with flakes of ham and boiled egg) and rabo de toro (bull’s tail). My favourite Cordoban dish is aubergine fried in honey, something I like to make at home from time to time. There are several tabernas around Cordoba, and the one I tried out was Taberna Luque, a small family restaurant a few streets from the Mezquita. I think I only managed to get a table because I turned up just before opening time, but I ended up having one of the best meals I’ve had in Spain. I also loved trying put the Sephardic food at Casa Mazal, which is also in the Juderia. The Sephardim were Jews who lived in Spain and Portugal up until their expulsion in the late 15th century, and the name refers to their descendants who have since moved all around the world. I could have ordered three quarters of the menu that night, but went for the hake sweetened with orange, lemon and cinnamon, which was amazing. I didn’t eat at Maridame, which is also in the Juderia district, but the views from the rooftop terrace would be sure to tempt me next time, as does the menu, especially the pork shoulder with banana sauce and black garlic mousseline. For something quite different, Cervezas Califa is a small craft brewery that also serves meals such as nachos and hamburgers. Sherry and wine tend to dominate drinks menus in Andalucia, and you often only get a token one or two beers on these, so it’s good to see someone beating a different path. Besides, a cold beer is just what you need if you’ve been outside in searing 45°C heat. Cordoba airport is 6 km from the city, which would normally be ideal. However, no commercial airlines fly there. Seville airport and Malaga airport are, however both within easy reach of Cordoba, and Madrid is less than two hours away by fast train. The best way to reach Cordoba is by train. Cordoba Central is on the Madrid to Seville AVE express line, and also the Malaga to Barcelona route, so can be reached from any of the first three cities. Malaga to Cordoba only takes an hour by AVE, and the Cordoba-Seville train Seville takes even less, just 45 minutes away on AVE, and less than 90 minutes by regional train. Note that the AVE is considerably more expensive than the AVE – check the RENFE website for ticket prices and train times. Cordoba train station is around 1.5 km (1 mile) from the Old Town, so everything is within reach. Cordoba is also well served by buses, which tend to be cheaper than the trains; most also tend to take longer. Cordoba bus station is opposite the railway station on the edge of the city centre. The Granada to Cordoba bus is the one route that’s quicker than the train, taking around two and a half hours. I’d say that a day trip to Cordoba from Granada is just about feasible, getting the first bus out and the last bus back – the same is true if you’re staying in Cordoba and plan on seeing the Alhambra in Granada on a day trip, though for that you’d need to book your Alhambra tickets online in advance.